Summertime is the half-way marker of the year, so what better way to refresh your mind and body for the rest of 2018 than by treating yourself to a spa day? If you happen to be in North Central Florida, Gainesville's best spas that offer not only pampering services but unique therapeutic ones as well to get your mind, body, and soul back on track. 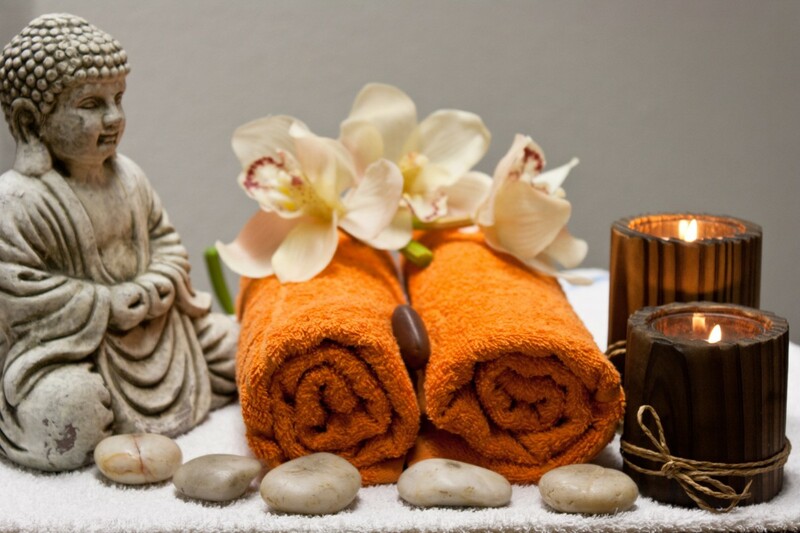 If you need an energy boost, Haile Village Spa and Salon offers a Chakra Balancing Massage that focuses on the seven chakra centers of the body. Sit back and breathe in a blend of balancing aromas while your massage therapist works on deep-tissue muscles, improves your overall energy. Your massage will end with guided meditation so you’ll walk out fully relieved. Haile’s Village Spa and Salon also offers a “bacial,” a facial for your back so you can get ultimate skincare in that hard-to-reach and often neglected area. Hitting the beach or pool this summer and need hair removal services that won’t irritate your skin? Floating Lotus Therapeutic Spa and Health Center uses all-natural beeswax to remove hair. Beeswax, a antimicrobial liquid, significantly decreases the chance of infected or ingrown hair follicles that could ruin any bikini line. It also melts at skin temperature, which makes this form of hair removal way less painful than other methods. Lastly, beeswax contains ingredients that soothe your skin while getting your hair removed. This spa in Gainesville many has plenty of other amenities for you to enjoy including as eyebrow and eyelash tinting, a variety of massages, acupuncture, facials, and detox services. Dessert lovers will feel like they're in a dream at Cloud 9 Spa and Salon where the body treatments allow you to indulge in your favorite desserts without the guilt of calories. These dessert-inspired treatments include the Whipt Cream n’ Sugar Dream, Chocolate Decadence Intensive Therapy, and a Sugar Slushie Scrub! Cloud 9 also offers prenatal massages for moms-to-be, which is an absolute must-have for ladies going through pregnancy in Florida’s hot summer! If you feel the need for a more intensive facial, Spa Royale offers medical facials that fight skin damage, aging, or existing skin conditions. This spa in Gainesville uses ZO Skin Health, which helps prevent environmental damage, and ZO Medical that treats skin disorders or chronic conditions. ZO facials include a brightening facial to help reduce hyperpigmented spots, an anti-aging facial, an ultra hydration treatment, and a clarifying acne and rosacea facial. There are couple’s suites available for those looking to enjoy a facial with their loved one. Gainesville’s best spas offer exceptional mind and body treatments for those looking to escape the Florida heat this summer and relax. Make an appointment for your ideal spa service(s) and treat yourself to a day of relaxation and renewal! Find more businesses in Gainesville like these by registering on 352area, your free guide to everything in North Central Florida.